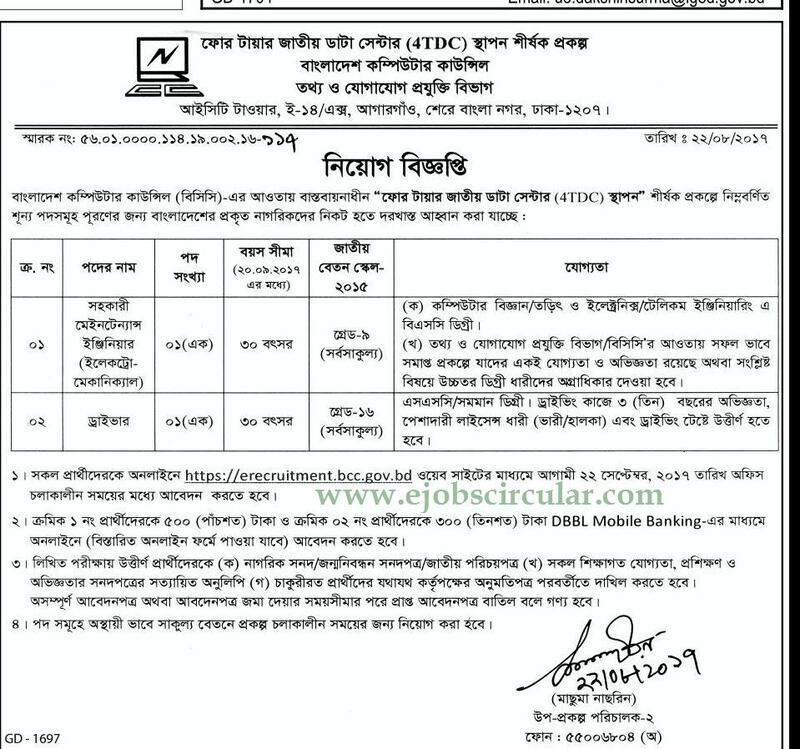 Bangladesh Computer Council BCC published New job vacancy Notice at www.bcc.gov.bd .BCC job circular offer New vacancy in this post. SSC, BCom/Master Degree, BSC, Student also apply this BCC govt circular 2017. 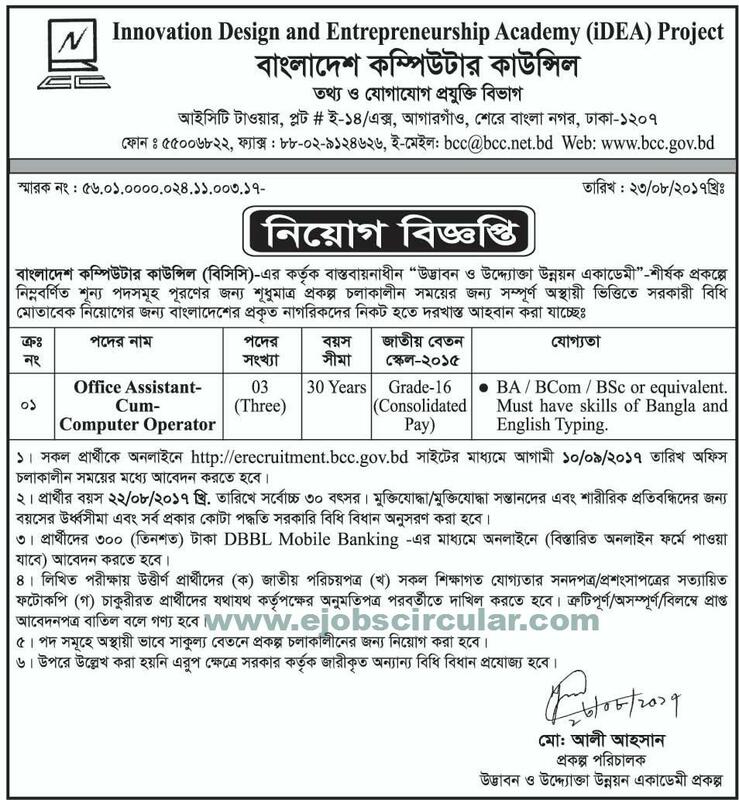 If You want to apply Bangladesh Computer Council BCC govt job circular throught online you have to visit there official website . For Next Updates about BCC job circular Vacancy Notice,Exam Result or Admit card Download stay with us.